In recent times there has been a heightened awareness of environmental changes. The exponentially growing human population, compounded with increasing industrialization has had serious negative effects on the flora and fauna of our planet. As environmentalists try to repair and address these repercussions, filmmakers, authors, and artists tackle the issue via their respective medium. While not directly preaching about habitat destruction, “The Formula” does offer a glimpse of what happens when Mother Nature runs amuck. To make Skytomb fit for interstellar voyage, Alluro invents the multi-octane, high potential, maximum velocity fuel formula. Unfortunately, the tongue-twisting booster juice works a little too well, sending Skytomb rocketing out of control. Out of desperation, Alluro jettisons the new fuel and it rains over a small meadow. It turns out that the Lunatak’s formula has an effect on living organisms as well and it causes the plants and insects in the meadow to grow to gigantic size, even turning some plants carnivorous. 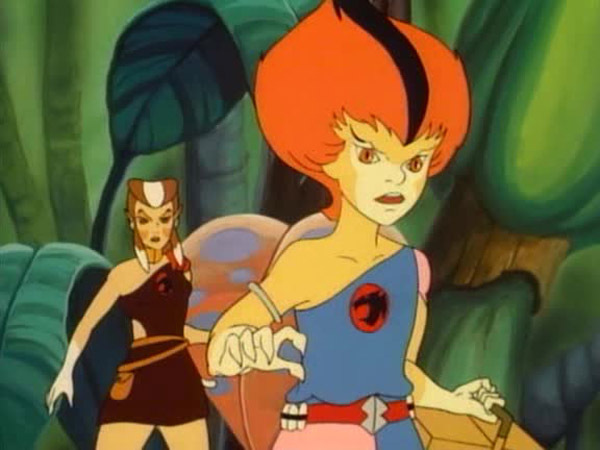 After escaping from the tendrils of some very hungry plants, Luna and Alluro decide to give the formula to the Mutants to use against the ThunderCats. Not wasting any time, Slithe and Monkian take to the skies in their vehicles and spray Alluro’s booster juice all around Cats Lair. The picnicking Pumyra and ThunderKittens get lost in the suddenly sprouted vegetation while Lion-O contends with a giant, sword-pinching beetle. 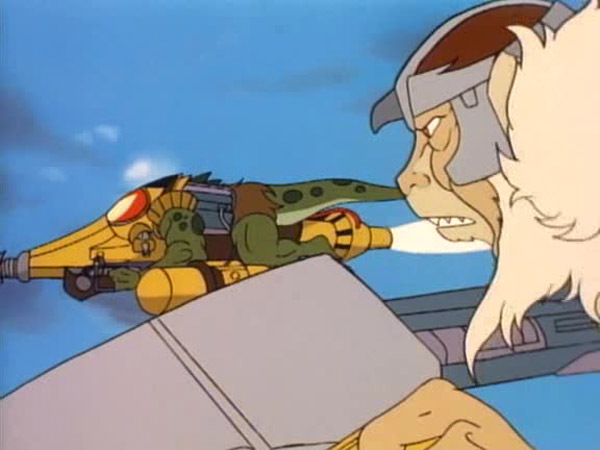 Alerted to the strange events by his Braille board, Lynx-O and Snarf depart from the Tower of Omens in the ThunderTank but get jammed in the giant greenery and are captured by Slithe and Monkian. 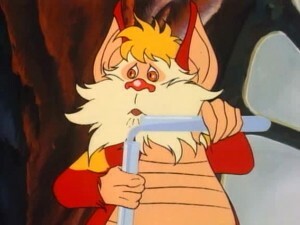 Surprisingly, neither Lynx-O nor Snarf put up a fight and go calmly to Castle Plun-Darr to be locked in a cell. As Lion-O, Pumyra and the ThunderKittens are fighting the ferocious flora, including a Wonderberry Muffin gobbling flower and a huge caterpillar; S-SSlithe and Monkian prepare to spray the Berbil Vilage with the booster juice. For some inexplicable reason, they decide to take Lynx-O and Snarf with them. 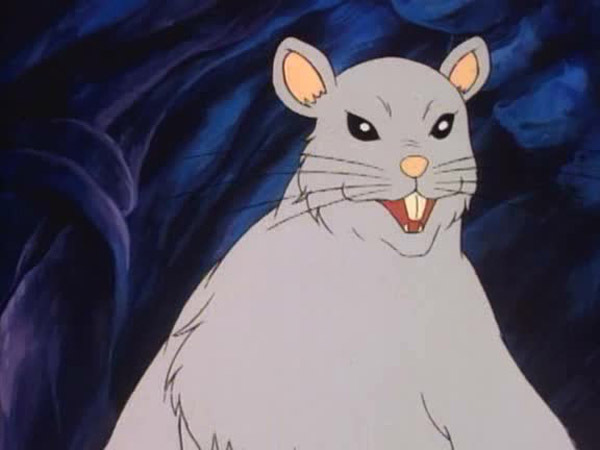 A leak in Monkian’s equipment causes a tiny rodent to grow and while the monster mouse chases the Mutants, the two ThunderCats captives head to Vultureman’s laboratory. They brew an antidote to reverse the effects of the booster juice, borrow a Skycutter and spray all the affected vegetation with it, saving the day. 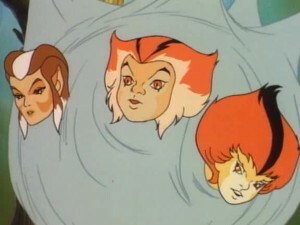 Since the introduction of New Thundera in the ThunderCats saga, writers on the show often used an expedition to the planet as an excuse to eliminate some of the ThunderCats from their scripts. While this offers a credible explanation for the absence of some characters, it tends to get repetitious and the audience are often left craving to see the entire ensemble cast in action. Even though writer Kimberly Morris employs this same story-telling strategy, she utilizes the smaller crew rather well. 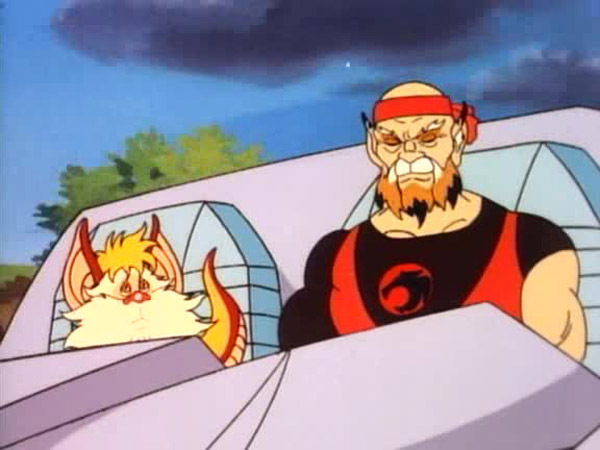 It is refreshing to see the previously underused and unlikely pairing of Lynx-O and Snarf get more screen-time. 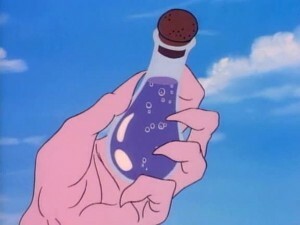 Lynx-O’s decision to stay and finish the antidote instead of rushing to answer Lion-O’s summon highlights the character’s wise nature and his inclination to look at the big picture. However, the duo successfully concocting the antidote so quickly does seem a tad contrived as chemistry is a skillset we’re more likely to associate with Tygra or Panthro. Morris tries to inject some humor into the proceedings but unfortunately places it at some of the worst possible points. Wilykat joking after nearly being devoured by a carnivorous flower and Lion-O taking pleasure in dishing out witty remarks at the silk-bound Pumyra and ThunderKittens, weakens the intensity of the story and as a result the audience are never drawn to the edge of their seat. 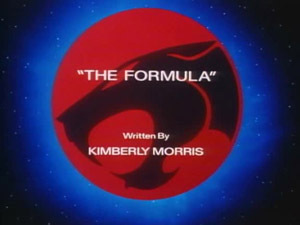 Apart from exciting action sequences, “The Formula” also lacks depth. 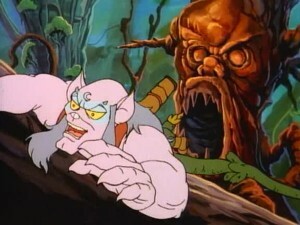 The episode feels more like a drawn out scuffle between the ThunderCats and the overgrown shrubbery. A secondary plot revolving around either the Lunataks or the ThunderCats on New Thundera would have rectified that. Turning harmless plants and animals into a formidable foe for the ThunderCats is an exciting premise but Morris’ failure to fully capitalize on that ends up making the giant flora and fauna into nothing more than a minor nuisance for the heroes. Out of all the regular ThunderCats, only Bengali and Snarfer are completely and inexplicably absent from the episode. Many villains are also mysteriously missing. 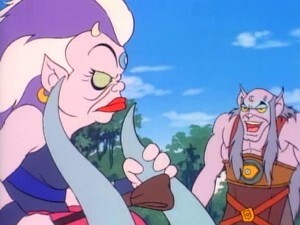 From the Mutants, only S-S-Slithe and Monkian appear and Luna, Amok and Alluro are the only Lunataks to feature in this episode. 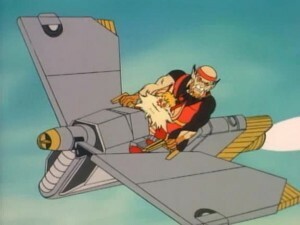 The normally ground-hovering NoseDiver is shown to be flying at a high altitude here. 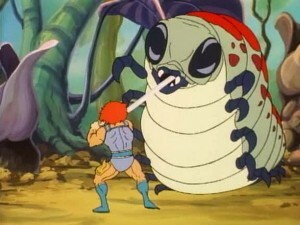 The giant insects are somewhat reminiscent of the ones that the ThunderCats encountered in the Forest of Giant Insects in “Return of the Driller”. Among the contents of the ThunderKittens picnic basket are food items that look remarkably like hamburgers!